About Me: Red Rose Digital Art is the on-line image gallery of Rosanne Casu, an accomplished flower and nature photographer with over sixteen years experience in photography and graphic arts. Her signature images are devoted to roses but she also specialises in tulips and Southern Hemisphere flowers such as gerberas and many Australian native flowers as well as other nature photography. Her greeting cards include these images as well as graphic arts. 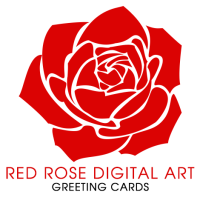 Welcome to Red Rose Digital Art Greeting Cards. This is the greeting card store of Rosanne Casu, a well-established fine art flower and nature photographer. To buy her fine art flower and garden images as canvases or metal prints, please click on Rosanne Casu Photography. Please click in the menu below to quickly access popular categories, use the search module to the left to quickly locate the card of your choice using keywords or simply browse. Be my Maid of Honor? Be my Matron of Honor? Be my Maid of Honour? Be my Matron of Honour? I just discovered your Birman cat cards. I have a blue birman cat and just love the beautiful photographs you have used on your cards. I also love your store design and how you have categorized your cards. Your links on your site is pretty clever! Did it take a long time to work it up? What a beautiful array of cards! I am sure you will do well. I love your regular updates and variety of samples. I particularly like the new sympathy card design. Well done and thank you for providing us with a family friendly site.